Stop making excuses. Once you start writing, you will find ideas floooding upon you. Don't look for dramatic stories or for humorous stories. As somebody once said, even a hand is dramatic. Everything is dramatic. V.S. Naipaul, letter to his father, July 1951. One party is overly sanguine, unwilling to acknowledge its errors. The other is overly maudlin, unable to forgive the same. The Bush administration seeks to insulate the public from the reality of war, placing its burden on the few. The press has tried to fill that gap by exposing the raw brutality of the insurgency; but it has often done so without context, leaving a clear implication that we can never win. This renegade cleric is mounting a frontal challenge to the United States and to the authority of the new Iraqi government (even while he takes charge of some of its ministries). This is ridiculous drivel. What next? A painting where we all add our own pixels and produce "consensus art"? I love Wikipedia, but am mildly disturbed that my own edits are easily inserted and never challenged - I mean, I could make up some lovely fiction. Aaah, thats it! That "book of the future" article is REALLY a double-feint, a faint-praise knock on Wikipedia by an Academic Establishment mole. In my part of north London, a policy of non-retaliation and non-interference is basic street-wisdom, now almost enshrined as the first principle of survival. It starts early with the precept to youngsters to give up their mobile phones when threatened by muggers. Later on, they learn not to wear "the colours" at football matches where they are likely to be in a vulnerable minority. Encountering violent, foul-mouthed arguments between couples in the street - a regular Friday and Saturday night spectacle - they know they are wise to walk on the other side in case they are bloodied in the fracas. Spat at by groups of more than two youths, as my besuited friend was as he got off the bus the other day, even a fit, strong adult knows better than to register any kind of annoyance, much less anger. "It would have given me the greatest satisfaction to retaliate," he said, "but there were six of them: ignoring them was the only possible strategy." ...Not so long ago, I met a 66-year-old woman who had been abused and humiliated by four youths in her train compartment for two hours. For most of the journey, she had to listen to their taunts. No one remonstrated with them. Shortly before she reached her destination, they poured the contents of a can of beer over her head. Still no one lifted a finger. I foresee that within ten years the independent bookshop will have disappeared from our town centres, all bar a few retired individuals who have got money to throw down the drain. Soon, books will literally have discussions inside of them, both live chats and asynchronous exchanges through comments and social annotation. You will be able to see who else out there is reading that book and be able to open up a dialog with them. You already see evidence of this in Wikipedia’s “discussion” pages and revision histories where the writers and editors negotiate the collaborative development of articles. Wikipedia is a totally new kind of book in that it is never static, always growing. Not entirely sure I like the sound of that (life is short, books are long.) Then again, some people feel the same way about blogging. PS: Lots of debate over Power Line's list of Great American Novels. Looks as if the Ayn Rand fan club is going to be disappointed: "To put it gently--Atlas Shrugged may or may not be great political philosophy, but it isn't great literature. It just isn't. Sorry!" Good to see that Fahrenheit 451 made the cut. So I took the "How Liberal or Conservative Are You" test. As the choices were very much black and white, I ended up leaving a couple of answers blank. That's cheating, I suppose. This blog seems to have been all over the map politically in the last few weeks or more. I'm not hedging my bets, honestly. I just find it harder and harder to pin down the dividing lines between Left and Right. I'm sure I'm not alone. I was on Nantucket this weekend, where I went to the 7 PM Spanish-language mass on Nantucket (as did Teresa Heinz Kerry, who I had earlier spotted riding a tandem bicycle with her long-faced husband), and afterward my friends met me in the dusk outside, and as we stood there chatting a guy in a beat-up van cruised by, stuck his head out the window, and asked what was going on in the church. "It's the Spanish-language service," one of my friends said. "Well, they oughta learn English already," the guy said, and drove off. Which provides a nice segue to my main point, which is that for the first time in a long while I think that John McCain might not be the Republican nominee in 2008 - and the reason is immigration. The Senator's line on the matter seems to me to be a distillation of all that's wrong with McCainism - the moral vanity, the knee-jerk belief in reform for reform's sake, the willingness to promote a bad bill just because it's your pet issue, and the willingness to let the bien-pensant "centre" set the political agenda, regardless of the merits of the case. And given the GOP base's feelings on the subject, it's hard to see how this won't come back to bite him. Peter Tatchell can no longer meet with journalists in his home for fear of physical attack. Requesting an interview, I could have been one of his myriad political enemies out to entice him into a trap. It has happened before; a group feigning to be a black student television crew recently lured Tatchell into welcoming them into his office space only to assault him over his campaign against the Jamaican dance hall "murder music" which calls for gays to be maimed and killed. Had security guards not been in the building at the time, Tatchell says, he could have been seriously injured. 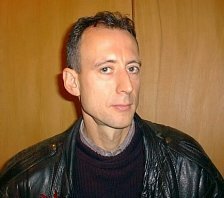 There is something wrong with the state of liberal politics when many on the left are upbraiding the avowed socialist Peter Tatchell as a right-winger. But that is just the place where Tatchell, whom the reactionary populist Daily Mail once labeled a "homosexual terrorist," finds himself today. Top dog nations, wielding power on a gigantic scale, attract to themselves a comparably sizeable jealousy and disapproval:" megaloxenophobia" in Geoffrey Gorer's coinage. Not so long ago, Continental Europe made fun of the arrogant, insular British, filling up hotels and first-class compartments along every approved tourist route. The Maximes of the French author Chamfort relate an anecdote of an English "milord" who unwittingly killed a serving-boy at an inn by kicking him downstairs, and then brushed aside the distraught landlord with: "The boy? Put him on the bill." Is he really such a lame duck? William Kristol sounds surprisingly up-beat in the Weekly Standard: "Not quite a merry month of May. Certainly not a Lerner-and-Loewe-like lusty month of May. But a pretty good month, and perhaps a sign of better things to come." And Austin Bay is impressed by the president's foreign policy vision at West Point: "Why didn’t he give this speech three years ago?"